Military Success Network marks the 72nd anniversary of Pearl Harbor alongside the living memorials to that day. The veterans who survived and their stories now inform today’s great generation. Below is the basic story and then just two of the opportunities to consider the future based on the lessons glimpsed in the art and video links offered below. 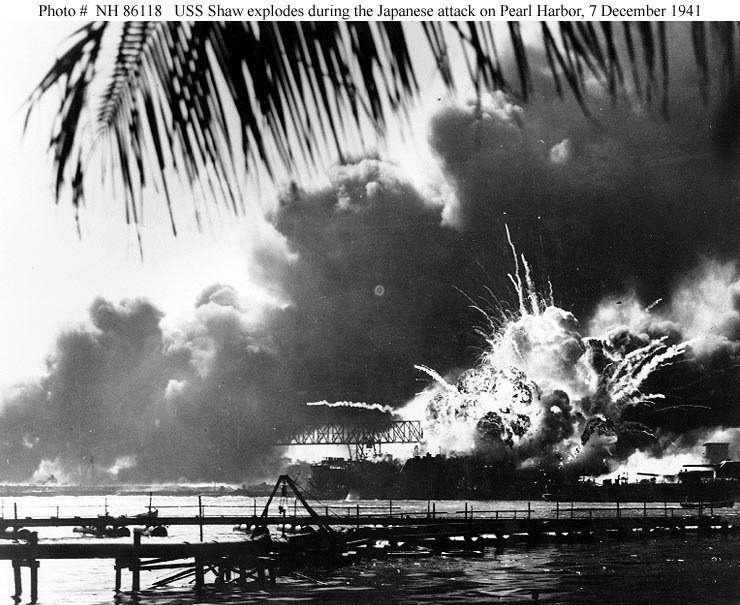 December 7, 1941 was the day of the surprise attack by the Imperial Japanese Navy against the United States naval base at Pearl Harbor and catapulted America into war. In “Operation Hawaii” the Japanese struck a major tactical victory in the Pacific Theater of World War II. Their action was planned to prevent the U.S. Pacific Fleet from interfering with military actions the Empire of Japan intended to carry out in Southeast Asia against the overseas territories of the United States, the Netherlands and the United Kingdom. The attack was shocking in its magnitude and assault on the American people. It led directly to the entry of the United States into World War II in both the Pacific and European theaters and the declaration of war against Japan on the following day (December 8). Heavy losses on the morning of December the 7 were caused by 353 Japanese fighters, bombers and torpedo planes raining down in two waves, all launched from six aircraft carriers. The U.S. Navy sustained damage to all their eight battleships and of these four were completely sunk. The Japanese also sank or damaged three cruisers, three destroyers, an anti-aircraft training ship and one mine layer. Of the U.S. aircraft, 188 were destroyed. Untouched were critical base installations that included the shipyard itself, the power station maintenance, and fuel and torpedo storage facilities. The submarine piers and headquarters building, which also housed the intelligence section, were also left unscathed. Japanese losses in total were 29 aircraft and five midget submarines lost. Of their servicemen, 65 were killed or wounded and only one Japanese sailor was captured. America mourned the loss of 2,402 lives and there were 1,282 individuals wounded. 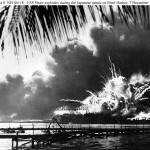 President Franklin D. Roosevelt proclaimed December 7, 1941, “a date which will live in infamy”. This was due in part to the severity of the attack and its lack of any formal warming, given that negotiations were still going on at the time. Pearl Harbor was the catalyst that moved Americans from a stance of non-intervention, and clandestine support of Britain, into an active alliance. U.S. operations in response pushed Germany and Italy to declare war on the U.S. and America reciprocated on the very same day, December 11. I had the opportunity to hear the story of Pearl Harbor on a visit to the USS Arizona Memorial. Because it is still in recent world history, it is kept alive by survivors who witnessed the attack and volunteer at Pearl Harbor to tell their story to the public. Additionally, I had the privilege of interviewing Hal Olsen, a US serviceman and artist, on the ground in the Pacific Theater whose unique nose art lifted spirits and hope of pilots. Thank you to Isaac Cubillos for the use of his photo of Pearl Harbor Survivors Association veteran members at the commissioning of the dock landing ship USS Pearl Harbor. Photo was taken on May 30, 1998 at the Naval Air Station North Island, Coronado. These men have since, passed. See more of Cubillos’s journalistic work at Military Reporter. And, his photo art can bee seen at this Facebook page.